A life of victory and consistency is something that is obtainable to all Christians. Although most Christians do not experience this life, it is within their grasp. This chapter will provide some insights into obtaining this victory. The heinous clicking noise pounded away as the roller coaster slowly worked its way up the first hill. As the cars reached the top of the 250-foot hill, its occupants prepare for the inevitable. 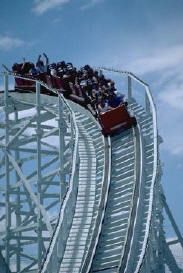 Suddenly, the roller coaster began its rapid descent and the thrill-seekers plunged toward Earth at 70 m.p.h.. The cold metal tracks guided the cars through their reign of terror. Its solid grip subjected its occupants to pressures as great as three G’s (three times the force of gravity). Roller coasters at the amusement parks are great, but they are less than desirable in your spiritual life. The spiritual roller-coaster ride that plagues many Christians causes an enormous amount of frustration, guilt and discouragement. It produces a feeling of helplessness similar to that of being thrown about in a small sailboat by the mighty ocean waves. Disillusionment begins to surface. Guilt overwhelms us and our lack of answered prayers seems to indicate that something must be wrong in our lives. We feel like the apostle Paul did in Romans 7:15-24. Here Paul says he cannot do the things that he wants to do, and he does the things that he does not want to do. Our spiritual defeats may be small and unnoticeable or they may be common knowledge to those around us. When a person accepts Christ and is born again, he receives a new spiritual nature. His old nature does not die, but rather, continues to war against the new nature. The Christian will always experience this struggle between the two natures as each battles to gain supremacy. This battle rages throughout our lifetime and can be intense and almost overwhelming at times. There can be a life of victory for the Christian, a life free from the relentless ups and downs of the roller-coaster ride. Many Christians have resigned to the idea that they cannot obtain victory or "rest" in this lifetime. These people do not realize that victorious living can be a reality. Christians do not need to be subjected to every dubious hill and valley of the spiritual roller coaster. The believer can obtain consistency, peace and rest. However, let us not confuse this victorious life with unattainable sinless perfection. A victorious Christian life is not a life void of sin, temptation and frustration, but a life of control and consistency. Being victorious is not a result of being a "super" Christian or specially "touched" by God. Rather, it comes from an understanding of our true position in Christ. An incomplete understanding of God’s forgiveness produces a tremendous amount of guilt and frustration, thus spiritual fatigue. This understanding is similar to that of a loving and mature married couple. This couple has developed a deep trust and understanding of each other. They do not hope they can trust the judgment of the other, they know they can. When circumstances seem to say otherwise, their trust in each other will carry them through until they can talk it out. 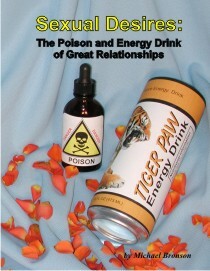 Satan fights on many fronts in our lives and some tactics are more effective than others. Making us feel overwhelmed, isolated or completely self-sufficient are his most powerful tools. An improper understanding and approach to these areas will leave us vulnerable to the attacks of Satan. Focusing on our past sins and failures can overwhelm us. This is one of the most destructive tools of Satan. With it, he steals our joy and spiritual strength. In their own lives, many Christians find it hard to "forgive and forget" their sins and shortcomings. Whether it is a single major failure, or an accumulation of many small failures, the result is still the same. We feel we are unworthy of enjoying intimate fellowship with God. We must learn to completely clean our slate with God and feel fully forgiven after each sin. Picture having some special company over for dinner. Your best china and tablecloth are out. As the dinner starts, everyone is very careful not to spill anything on the beautiful tablecloth. Inevitably, though, someone makes the first spill. This person, of course, feels bad and a great effort is made not to do it again. As the meal continues and more stains appear, the guests are less cautious about being sloppy. By the end of the week, the tablecloth is so soiled that no one really cares if they are the next one to spill. The consensus has become "What difference does one more stain make?" Many Christians have failed so many times they just do not see the point in trying anymore. They have failed so many times already they feel there’s no benefit in resisting their current temptation. However, if the Christian sees himself as having a perfect record, he is much more determined to resist temptation. When we understand the marvelous truth of being completely forgiven, we will not feel overwhelmed or defeated. Learning to leave the past behind reduces a great deal of stress and pressure. We must live in the present. We have no business wallowing in the sins of our past or fretting over the potential hazards of our future. We must continually draw on the Lord for our strength. Being victorious in the past does not mean we will be victorious in the present. Having a close walk with the Lord in the past does not necessarily reciprocate to a close walk with God now. Our strong communion of the past provides no strength for the present. We must draw our strength from God continually. Many songs revolve around the regeneration process of waiting on the Lord and drawing our strength from him. Yet, "Day by Day," nor "Hour by Hour" is frequent enough. We must draw from Him "Moment by Moment." The Vietcong (VC) used isolation to break our POWs during the Vietnam war. They would separate a soldier from the rest of the POWs requiring him to carry the burdens of his collapsed world alone. The VC would parade before him newspaper clippings of anti-war protests showing how his country had betrayed him. Sometimes, the final crushing blow would come when the VC showed him a letter or telegram (usually forged) telling him his wife had divorced him or that one of his children had died. Many prisoners were overwhelmed and gave up all hope. This resulted in mental and physical deterioration. Some POWs were isolated for many years from the truth and their families. Isolation produces feelings of rejection and abandonment, leading to resentment, frustration and discouragement. The thought that no one really cares for you can be emotionally devastating. When a person perceives himself as facing a hostile world alone, he becomes overwhelmed with a feeling of futility. Now, emotional, physical and spiritual deterioration sets in. Feeling cut off from our friends, especially our Christian friends, can be painful. Yet, feeling cut off from God is extremely devastating. Satan will do everything within his power to make us feel isolated from God. He may amplify our weaknesses and failures, then try to convince us that God is disappointed. We do not usually feel God has outright deserted us, but we think He must be tired, impatient or just plain disgusted with us. We convince ourselves God must be viewing us with the same critical eye we view ourselves. Satan is the father of lies, and he will lie to us about God and other Christians. He knows if we feel abandoned by God we may simply give up altogether. We may go for years or even a lifetime before we find the truth. As Christians, our relationship with God should be based on what the Bible says, and not on what people or Satan says. Understanding this will save us much future grief. An ever-present danger of a Christian living successfully is the temptation of becoming overconfident in one’s skills and abilities. There once was a woodpecker pecking away at a mighty oak tree. The bird pecked once, twice but on the third hit, a lightning bolt happened to strike the tree and knocked it over. After picking himself up off the ground, the bird thought "Who would have guessed that after just three pecks with my beak, this tree would fall over." Be careful to give God full credit for all the mighty works that He does in your lives. Not only is overconfidence an insult to God, it also denies Him of His due glory. Overconfidence leaves us open for spiritual bankruptcy. Spiritual bankruptcy happens anytime we rely more on our own strength than God’s. Satan is not too concerned with how he renders us ineffective, only the fact that we are ineffective. If he cannot drag the Christian backward with sin and guilt, he will try tripping him up with a big push forward, making him too successful. However, the net result of both tactics is still the same: The Christian turns from God’s mighty power to human strength and intellect. Victory and stability grow in our life as we learn to draw our strength from God. This strength, stability and the fruits of the Spirit are natural by-products of a committed Christian. A grapevine does not struggle and strain to produce grapes; it produces them naturally. Likewise, we Christians do not become fruitful when we struggle and strive; a fruitful life must come naturally. Inner rest, an internal life free of struggles, worries and pressures, characterizes the victorious life. Although the Christian can be plagued by many external problems, the inner spirit can be at peace and unconcerned with the future. This rest allows the believer to rejuvenate his strength. Isaiah 40:31a says, "But they that wait (or rest) upon the Lord shall renew their strength." Resting quietly in the Lord is important. When Psalm 46:10a states, "Be still and know that I am God," it is emphasizing the importance of making time in our busy schedule to reflect on the presence and person of God. Some Christians view the victorious life as a life free from temptation and conflict. This could not be further from the truth. Although we are promised victory if we follow God principles, we are not promised an absence of temptations and conflicts. You cannot have a "mountain-top experience"
without valleys to contrast the difference. The children of Israel were promised complete victory in their conquest of the Promised Land if they remained faithful and obedient to God. This victory, though, was not given automatically; they had to fight each battle one at a time. In the first seven years of conquest, Israel did not lose a single soldier in battle except on one occasion. The battle at Ai is found in Joshua 7. In this conflict, Israel lost 36 men because of the sin committed by one person, Achan. Once this sin was confessed and punished, Israel again became victorious. Unfortunately, after seven years, Israel turned their eyes away from God and their victorious life ended. There are three lessons to be learned from Israel’s conquest of the Promised Land. First, a life of victory does not include an absence of problems and conflicts. Second, there can be victory and rest for the believer in this lifetime. We can have consistent victory in all temptations and trials we face. Finally, this victory and rest is dependent solely on our obedience to God. Hebrews 4:1-11 exhorts us to "enter into His rest." This rest is compared with the rest (or victory) Israel had when they first entered the Promised Land. There were many Old Testament Hebrews who missed God’s rest and victory because of their unbelief. We, as Christians, can choose to enter into His rest or face a life of frustration and struggles. God created the world and universe in six days and on the seventh day He rested. The work had been completed and God rested. Likewise, the book of Hebrews exhorts us to rest in the same way God rested on the seventh day. He has done all the work for us through Christ who died on the cross. Now, we can rest from our inner struggles. God created the Sabbath Day to provide the Hebrews with physical rejuvenation. Likewise, God has created an inner Sabbath Day rest to provide us with spiritual rejuvenation. The choice is ours. We can rest in Christ, draw from His strength and produce fruit naturally, or we can live a life of fruitless struggles and frustrations. Entering into His rest is not an option for the Christian worker; it is a prerequisite.